Welcome to Chewandswallow, the land of extreme weather! For the past few weeks, the Kindergarten room was transformed into Chewandswallow while we learned all about weather, meteorologists, and did a book study of Cloudy With a Chance of Meatballs. While in Chewandswallow, the Kindergartners tracked the weather each day, predicted the weather like real meteorologists, performed a few science experiments and rain and wind, and learned about various tools that we use to track weather. We also learned about important aspects of weather like temperature, types of clouds, and different types of weather. During our last week of our time in Chewandswallow, we had our very own NDA Daily News! Kindergartners studied the current weather conditions, recorded them, and shared them with the class in their very own weather forecast. It quickly became a class favorite activity and may be staying in the classroom a bit longer than the falling food! Enjoy a few pictures from our time in Chewandswallow below! There is no better way to celebrate all we have learned and the amazing readers we have become when reading Elephant and Piggie books! They have quickly become a class favorite in Kindergarten. To show how much we love them, we celebrated Elephant and Piggie day! We made puppets of some of our favorite characters and learned how to draw Elephant and Piggie from the illustrator and author himself! We also practiced our fluency, expression, and punctuation by finding the missing punctuation in sight word sentences and reading them out loud (with the help of our puppets and some silly voices!) We were also able to act out some of our favorite stories using our puppets. To round off our Elephant and Piggie day, we made hats of our favorite characters and wrote about which book is our favorite. It was a day of reading celebration, squeaky voices, and lots of laughs! 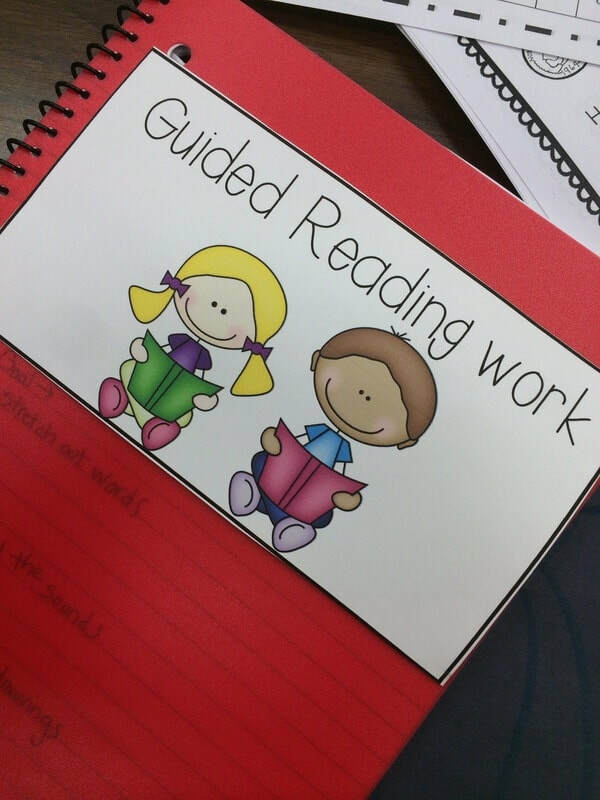 ​The Kindergartners have become masters of reading. They are able to identify beginning and ending sounds like the pros that they are! In order to celebrate how far they have come, they were sent on a task. They entered the Kindergarten Hospital and needed to fix some words! There were CVC words all over the classroom and each one was sick and missing something important...their vowel! With their doctor coats on and their patient charts in hand, the Kindergartners spent the afternoon fixing each word and celebrating when the patient was healed! By the end of the experience, each Kindergartner proved to be an excellent vowel surgeon and all patients were fixed! This was a great way for the Kindergartners to practice their phonics, use their imaginations, hone their fine motor skills, and have a little bit of fun in the process! Look below at our slideshow of pictures to see us in action! Blubber Gloves...an Arctic and Antarctic Experiment! ​Over the past several weeks, the Kindergartners have been learning all about different animals that live in the Arctic and the Antarctic such as polar bears, walruses, seals, and penguins! We have learned a ton of exciting facts about these animals and how they have adapted to survive in the freezing cold weather and water. One fact that we learned is that these animals have a thick layer of blubber that helps insulate them and keep them warm. We decided to test this and see if blubber really does help keep us warm! We filled a container with water and a bag of ice and tested just how cold it was...BRRRR! We then put of our blubber glove (who knew ziploc bags and crisco could help with this?) and then we compared to see if we could feel the cold. After our experiment, we all voted that if we live in the Arctic or Antarctic, we would definitely want to have blubber to help keep us warm! Check out a few pictures of this exciting experiment below! In Kindergarten, the 100th day school is a huge milestone! It shows just how far we have come in 100 days and it is a great time to celebrate all that we have learned! On our 100th day of school, it felt like we did 100 things! We counted out 100 stickers and put them on remarkable hats, we wrote what we would want to eat 100 of, what we would like 100 of and even what we would do if we had $100! We practiced counting all the way to 100 by 5's, 10's, and 1's! We ended our day with a huge challenge. Kindergartners were split into 5 groups and challenged to build a tower as high as they could with 100 cups. The most important thing that was stressed was teamwork, communication, and problem solving. By the end of our time, there were cup towers that were nearly as tall as the Kindergartners building them! We officially can celebrate that we are 100 days smarter! The Kindergartners have been busy developing their estimation skills and to wrap up our unit, the Kindergartners became detectives...Estimation Detectives! Their mission was to find jars hidden around the room and observe the amount of objects in it to the closest 10. Some of them were mighty tricky and the Kindergartners had to really look and think about the challenges. The Kindergartners loved the challenge, begged me to keep it up the the rest of the week and did not want to put their magnifying glasses down! When January approaches, each Kindergartner is given their very own book bag that follows them to school and home each day. With the amount of tools and things that are in the book bags, here is a quick peek and let you know all of the wonderful things that is in it! When the Kindergartners bring home their book bag each night, it is a chance for them to read to families, practice reading strategies, and continue to master their sight words! 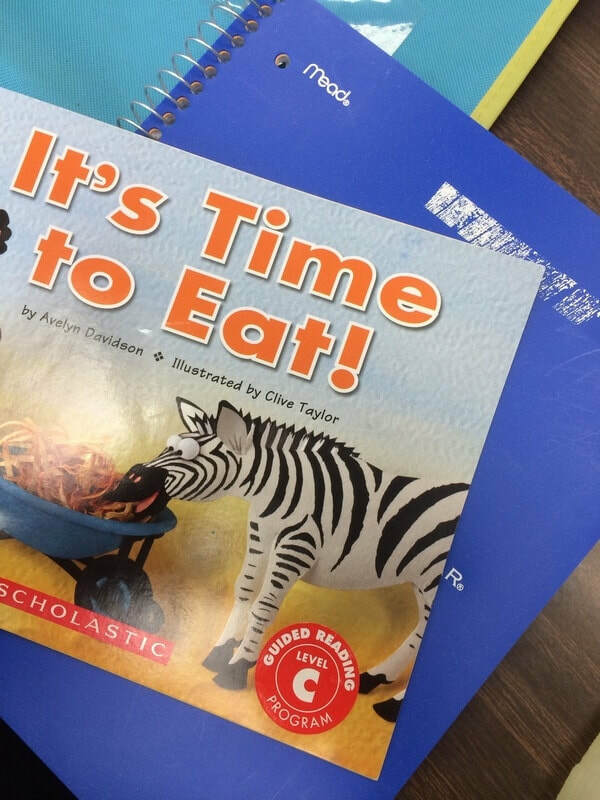 ​Each Kindergartner gets a different book or two each week in their book bag, This is the book that we are reading at school, in our reading groups. Some of the words, phrases, or books may be slightly challenging for the Kindergartners, but that is good! If they are coming across a word that they are struggling with, the best thing to do is remind them to use their reading strategies. If they continue to struggle, sometime you need to help them with a word or so. It may be a sight word that we haven't learned yet or a name that does not make sense. They'll have one book from school in their book bags each week but please feel free to read books from home as well! Since I mentioned using our reading strategies, it's important that I also introduce them. 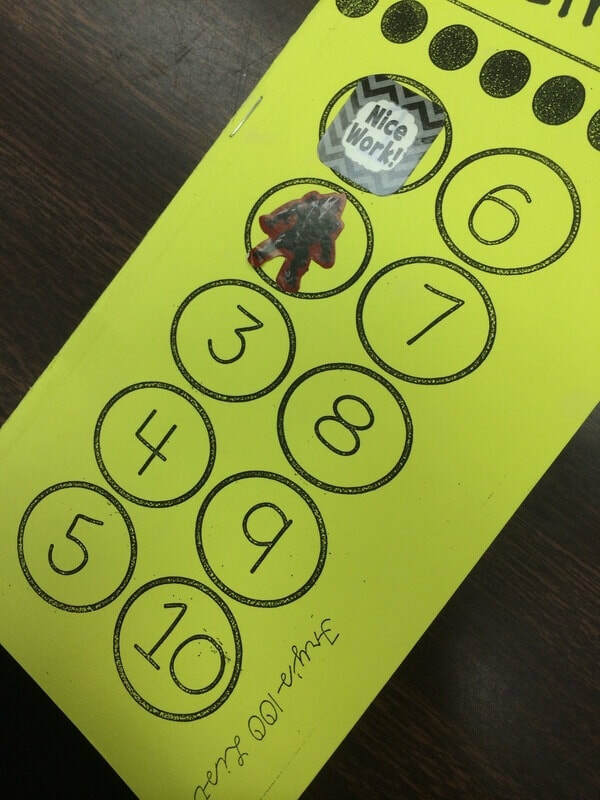 In each book bag, there is a bookmark with all of the different reading strategies that we use in Kindergarten. Try asking your Kindergartner about which ones they know and how they help them. It can be helpful to have the bookmark out when they are reading since it is a quick reference and reminder for them. We have not learned all of them yet, but will as the year goes on! These are our word work notebooks. In them is the work that we do in reading groups. We work on everything from rhyming, to word families, to learning new blends. If they want to work on different things in their notebook, that is great! Feel free to use it for sight word practice, writing sentences, or anything else they would like to practice. ​Over the course of the year, there will be additional things added to the book bags but this is what we are starting with! Kinders will need your help with making sure that the book bags return to school each and every day! As the year goes on, it would be great to make this the student's responsibility but they will need a lot of help at first remembering. I hope that you enjoy the book bags just as much as the Kinders! ​A highlight of Kindergarten is our time spent traveling the world on the Polar Express! Every December, we pack our suitcases, make our passports, grab our tickets and adventure around the world, learning about how other countries celebrate Christmas and comparing their traditions to ours! Throughout this adventure, we learn how to say "Merry Christmas" in the language spoken in each country, discover a few special foods, toys, or traditions that they have, and read several books from each of the countries. It is such a magical time, full of exploring new things and opening our eyes to the world around us! This year, we were able to travel to countries like Mexico, Sweden, Australia, and England to name a few! Take a look a a few pictures from our adventure around the world! Welcome to the Kindergarten Pizzeria! The Kindergartners took one day to celebrate all of our hard work with number sense, number recognition, and counting! When we walked into our classroom, we discovered that it had transformed into a pizzeria! This was no normal pizzeria! At this pizzeria, it was the Kindergartners' job to add all of the toppings- no more and no less than the order stated. Using our recipe cards, the Kindergartners spent an afternoon creating pizzas galore. Mama mia! What a fun time we had practicing our numbers and exploring our imaginations! ​With Thanksgiving approaching, the Kindergartners have been learning all about how the Pilgrims came to America and the first Thanksgiving. To practice our critical thinking skills and our engineering spirits, the Kindergartners were tasked with creating their very own Mayflower! Given only tin foil, the Kindergartners were given a task: create a boat that would hold as many "pilgrims" as possible. Using our problem solving, creativity, and a lot of redesigning, several groups were able to successfully create a Mayflower that held all of our pilgrims without sinking!